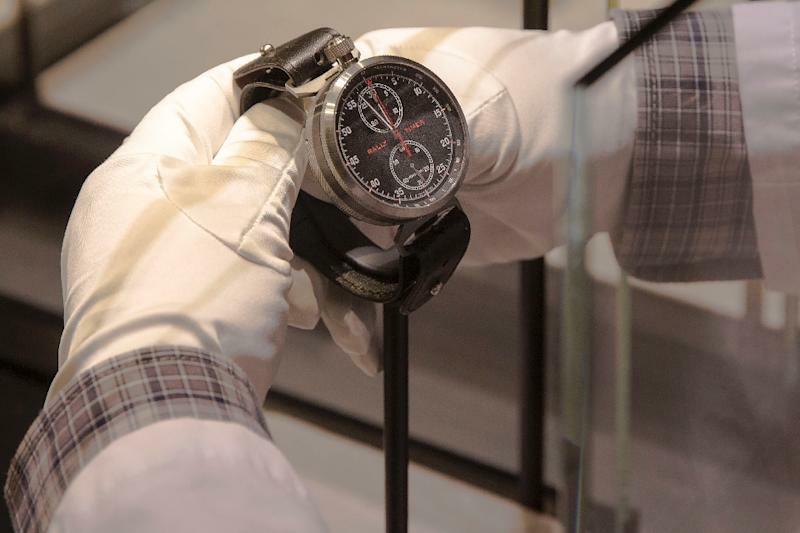 Geneva (AFP) - Luxury Swiss watchmakers, gathering this week at the industry's premier annual show in Geneva, hope 2017 will finally mark the end of two crisis-hit years of falling sales. Many top-flight brands, used to running their ateliers at full throttle, have resorted to laying off workers in the face of crumbling demand. 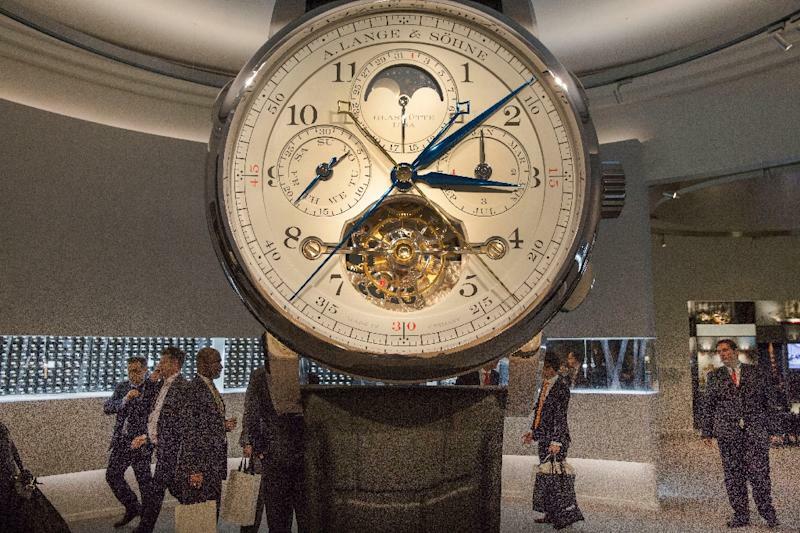 "2016 has been difficult," Jean-Daniel Pasche, president of the Federation of the Swiss Watch Industry, told AFP during the Salon International de la Haute Horlogerie (SIHH), which runs through January 20. He said he expected this year's exports of luxury watches to be "about the same level" as those of last year. Exports for all of 2016 will be published next week, but from January to November, they were down 10.4 percent from the same period last year, after a 3.3 percent decline in 2015. "We're near the end, I think, of what has been a structural crisis," said Manuel Emch, chief executive of the luxury brand Romain Jerome. "We're seeing a recovery in China, and the haemorrhage has stopped in certain markets," he added, referring in particular to Hong Kong, the largest export market for Swiss watchmakers. Robust Chinese demand had led many brands to expand production. However, a crackdown by Beijing on corruption in 2013 hit hard, as has political uncertainty in Hong Kong following the "umbrella revolution" in 2014. Hong Kong had long attracted Chinese watch fans on the mainland. Among the other factors weighing on the sector were the collapse of the ruble, which has crimped the buying power of Russian clients, and rising competition from "smart" watches connected to the internet. "All these factors at the same time, plus the terror attacks in Europe ... that was quite a lot," Emch said. Steps taken by Swiss brands over the past two years to curb output should start to pay off, Emch said, but "the equation is still fragile". Retailers, who struggled to sell their stocks in the face of slumping demand, are now being more selective when choosing which brands to display, focusing on sure bets at the expense of small, niche players. Last year, Richemont, the world's second-largest watchmaker, whose brands include Cartier, Piaget and IWC, spent heavily to buy back stock from Asian retailers. On Friday, the group surprised investors by reporting a five percent increase in third-quarter sales in local currency terms, suggesting that its efforts were beginning to bear fruit as the Chinese market gradually recovers. "I think they've probably cleared out most of the inventory and they can now start to restock, including with lower price point models," said Jon Cox, an analyst with Kepler Cheuvreux. As expected, several brands are presenting more sober designs at SIHH this year, often using more affordable materials. Parmigiani Fleurier, for example, is proposing a stainless-steel version of its classic Tonda 1950, priced at 8,950 euros ($9,500), compared with 15,700 euros for the version in white gold. It is also presenting an updated version of the Toric, its most emblematic watch. "Right now, we're going back to our basics, with emblematic pieces," said Michel Parmigiani, the brand's founder.